At Federation Motor Inn we boast that our 22 well appointed rooms are the largest to be had in Corowa and include ensuites, flat screen tv, airconditioning, and free WiFi. For your comfort and enjoyment we have a great salt water swimming pool, outdoor eating areas, barbeque, guest laundry and our own licenced restaurant available for large groups. Set on 3 arces of picturesque gardens we can offer guests a variety of room configurations and cater for a wide range of needs from business people to families to large groups. 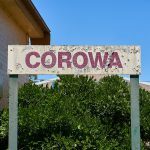 The delightfully rustic town of Corowa, was the Birthplace of Federation, situated on the banks of the Murray River and is just across the river from the Rutherglen wine district. Fishing, boating, skiing, golf, lawn bowls, country drives and walking trails are just a few of the activities available for the visitor. 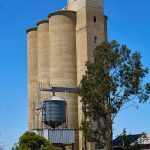 Wangaratta, Yarrawonga and Mulwala are just a 30 minute drive away, while Albury-Wodonga is only 45 minutes from our gate. 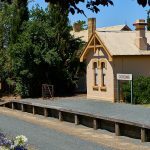 The fabulous wineries of the Rutherglen region are just minutes from your front door with wine tastings and cellar door sales available at most wineries.